Warning: this post is not (mainly) food related, but rather a silly post and absolutely NOT serious! 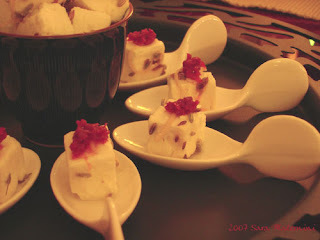 Home/ Warning: this post is not (mainly) food related, but rather a silly post and absolutely NOT serious! Today I was in the underground heading back home from work and there was a lady reading Pride and Prejudice, one of my favourite books. For one second I thought: “Now I ask her if she’s in love with Mr. Darcy”… I didn’t, mainly because I thought that, of course, she was in love with him, who isn’t??? And then I thought: and if she answers me no, what can I possibly say??? I was in love with him the first time I read Pride and Prejudice, and I was in love the second time I read it! I blushed with Elisabeth when she saw him on the other side of the garden. I was outraged like Elisabeth for the way he was treating her in the beginning, but then my heart was beating with her heart every time she saw him, and I was beaming with joy when they finally got together! He’ s a dream man, not the ideal, but a dream man for sure! 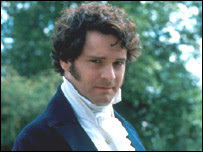 And my favourite on screen Mr. Darcy is of course the one and only Darcy for the Bridget Jones generation: Colin Firth! Perfect in the BBC drama!!! Ah, how much can someone miss BBC??? And now, the food related part of this post: Jamie Oliver and his podcast! Yesterday, a lazy Sunday mainly devoted to the recovery after one long dinner with friends on Saturday night (one pic at the end of the post: sorry about the light, but it was a candlelight dinner! ), I was messing around in front of my Mac, and I decided to have a look at some food podcast. An entire universe opened in front of my eyes! First of all the podcast of the Culinary Institute of America: I haven’t had enough time to explore them in the way they deserve, but just watching a brief part of the video dedicated to northern Spanish cuisine I was absolutely delighted! Then a silly podcast, for cooks who can’t cook: ctrl-alt-chicken! Just hilarious!!! And then, my favourite of all, the only, the unrivalled, the wonderful podcast by Jamie Oliver! There are only three video podcast by him (the rest are just audio), but he’s so cute while he tastes beetroot that you wish you could taste it too, with him, alone in the kitchen, maybe some candlelight, some nice music, a bottle of red wine… Ok, sorry, sometime I forget I’m a married woman! And Jamie is a married man father of two! Heading back to Jamie’s podcast, it’s just like watching him in one of his famous shows: hilarious, everything made in front of your eyes, no fuss no muss, easy, simple, with no ostentation. He makes you think that even a 2 year old can do it! And that’s exactly what England (and the world) needed and still needs! Enjoy his freshness and the wonderful mood he’s able to broadcast all over the net! Jamie Oliver you’re the best! P.S. Explore all the links: they are worth it!!! Non solo sei in lunghezza d’onda con le ricette ma pure con i libri….e Mr Darcy….IL MR DARCY….COLIN!!!!! Oh Gesù!!! Appena mi era arrivato il dvd con i sei episodi di Pride and Prejudice della BBC (mitica)….ho fatto full immersion di sei ore;-)….una maratona di Pride and Prejudice! E so cosa vuoi dire quando leggendo il libro ti immedesimi in Elisabeth SO MUCH!!!! Ed un grazie per i link…interessanti davvero…e concordo su Jamie Oliver…bravissimo….semplicissimo….ciò di cui l’inghilterra aveva bisogno, un approccio semplice, genuino, allegro con la cucina ed il cibo! Le affinità elettive della rete! E la foto l’ho aggiunta solo per te, cara terry, e le altre due che adorano Colin Firth almeno quanto noi! Ciccia…come t’ho detto via email…m’hai fatto un regalone in questa giornata da malata in casa!!! Ma anche su Bridget..quanto affascinante è?!…aaahhh…sospirone!!! Colin Firth is the cutest cute, cute, cute! !